A Master Franchise business opportunity in NZ is a sales and account management role, that involves leading a team of franchised owner operators and managing the customer relationships within your region. Our Master Franchise team is comprised of various individuals and couples. Some have previous cleaning industry experience, others have sales and people management backgrounds. We provide a high level of back up and support for the Master Franchise business opportunities in NZ and we assist with training, pricing, quality management and franchise sales to get you operationally underway. There is a huge skill and resource base within Crest’s existing team of Franchisees and Master Franchisees; therefore no direct knowledge of the cleaning industry is required. CrestClean has excellent training systems. We provide formal training programmes for our franchisees. Our Training and Quality Managers provide local training sessions, site inspections and on-site training, and assistance with large quotes and implementing new contracts. We have considerable expertise in establishing new Master Franchise territories, and we will offer a high degree of operational and administrative support to ensure that the business grows and develops well. CrestClean is a systemised business, and these systems have a proven record of translating across and into new regions, resulting in business growth and development in accordance with budgets and business planning. The key to this role is to grow the revenue in the region by promoting and developing new business in the area. There is a healthy market for franchisees – the changing trends in employment together with new immigrants to New Zealand has seen a steady growth in the franchise sector. A CrestClean franchise is a simple business that people of different backgrounds can successfully operate. We have established franchise marketing systems and financing available, which makes it easy for people to purchase their own franchise. Individuals and couples with sales and management experience and a desire to succeed in a stable and consistent industry would suit this role. It’s a very dynamic industry, with a broad marketplace. All buildings and premises need cleaning and much of the market for cleaning is serviced though contractors like CrestClean. 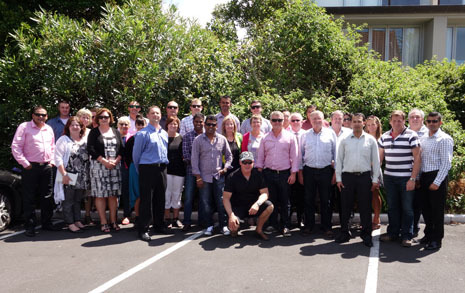 When it comes to business opportunities in NZ, with CrestClean there’s are plenty of prospects for growth.